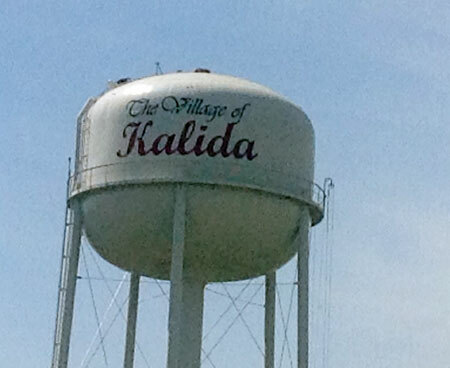 KALIDA — Designs for the new town hall in Kalida have proceeded to the point of exploring how best to pay for the new facility. As options currently stand, the village hopes to be able to construct the new municipal building without going to taxpayers. However, following completion of the Walnut St. project, the village may also have to pull back on roadway projects for a few years. And, for a short while at least, may no longer provide significant financial contributions to other community projects, such as any further expansion of recreational facilities at Four Seasons Park following the Phase II completion of the nature trail. The lowest rate mentioned from a private lender was 3.5% for a term of 20 years. Other options provided slightly different interest rates and terms of length based on the amount the village might contribute as a down payment, and whether or not the interest rate would be variable. With variable rates, the interest rate is adjusted to current market rates following a period of time, typically five to seven years. Regarding all of the options, including the possible USDA loan as well as what might be available through private lenders, Mr. Stechschulte said, “We do feel that it is very reasonable to have a loan for around 10 years, and have it paid off out of cash flow.” Meaning that the regular loan payments could be covered by the village’s general fund without having to go to taxpayers for additional funding. The USDA’s program is a revolving loan fund tasked with creating or retaining rural jobs. It remains unknown whether or not the village’s town hall project would meet this requirement per the exact verbiage of the loan program. Construction jobs would obviously be created, and the village’s administrative positions retained, but again, whether or not this meets specific requirements still needs to be pursued further.